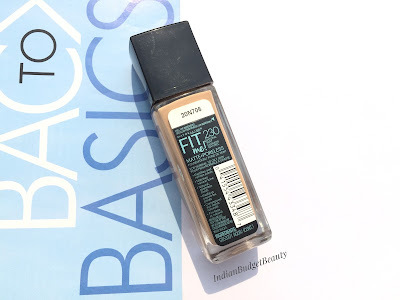 During the Nykaa Mega Sale, I bought this foundation from Maybelline. I've heard a lot of people raving 'bout this particular baby. So I totally had to dig into this foundation and after trying it for a while, here I'm writing down and sharing my experience with this. P.S My Nykaa experience was Horrible! Their customer service is a total 'NO'! INGRIDIENTS: Aqua / Water / Eau, Cyclohexasiloxane, Nylon-12, Isododecane, Alcohol Denat., Cyclopentasiloxane, PEG-10 Dimethicone, Cetyl PEG / PPG-10 / 1 Dimethicone, PEG-20, Polyglyceryl-4 Isostearate, Disteardimonium Hectorite, Phenoxyethanol, Magnesium Sulfate, Disodium Stearoyl Glutamate, HDI / Trimethylol Hexyllactone Crosspolymer, Titanium Dioxide, Methylparaben, Acrylates Copolymer, Tocopherol, Butylparaben, Aluminum Hydroxide, Alumina, Silica, Glycerin. May Contain: CI 77891 / Titanium Dioxide, CI 77491, CI 77492, CI 77499 / Iron Oxides. PACKAGING: It comes in a glass bottle and a basic screw cap packaging. Though it looks chic and classy but I'm not a fan of this packaging. It is not travel friendly :( I wish it had a pump. SHADE & COVERAGE: It is available in 6 shades. I'm in the shade 230 Natural Buff which has warm undertones and matches me perfectly. 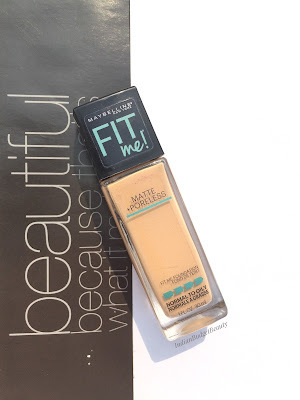 This is by far the best foundation I've used from Maybelline. I love the dream satin one as well, but I love this one more. The coverage is amazing. 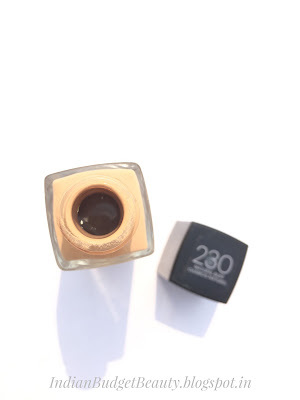 If you want greater coverage, then you should go for a flat-top kabuki brush; but for a natural look, go for any beauty sponge like the real technique's or the beauty blender. 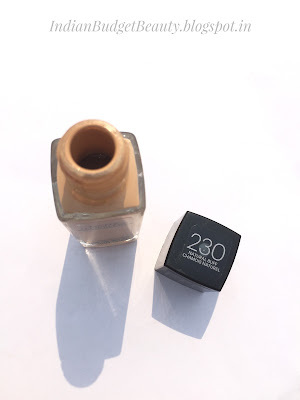 It gives a smooth finish, not 'totally matte' but a semi-matte finish. 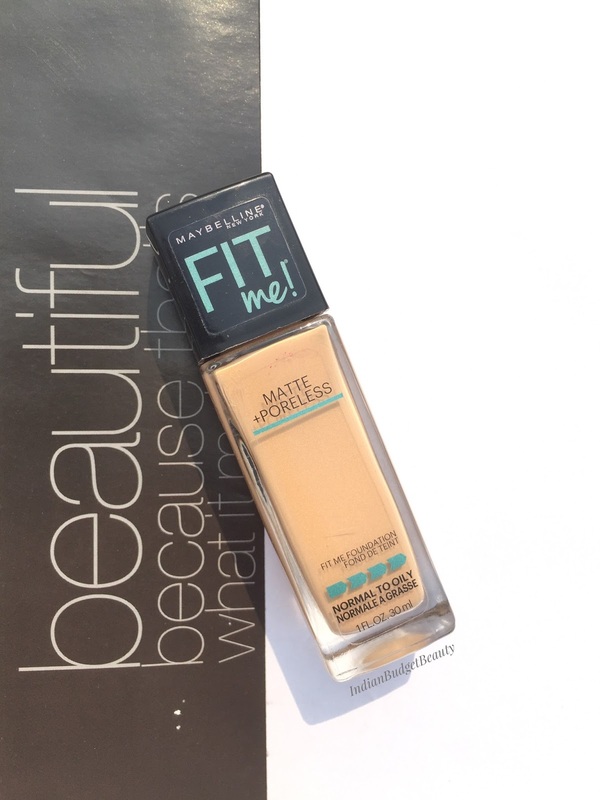 I don't have very prominent dark circles so whenever I apply this, I really don't need a concealer, it covers up blemishes and evens out the skin tone and dries very fast. Now coming to the staying power, I'd say it works pretty well. It stays for up-to 6-7 hours without a primer. But it can crease under the eyes, so do set it with a powder. It controls oil up-to a very good extend. It kept my face quite oil free for up-to 6.5 hours and with a little bit of touch ups after that, my skin was totally fresh like it was earlier.